Anyone who wishes to witness the beauty of the Netherlands as a tourist will also want to know about Volendam history. Volendam can offer a truly unforgettable experience of culture, history and fun for any tourist. A town situated in North Holland in the Netherlands, Volendam is home to some 20,000 inhabitants who are well-loved for their traditional costumes and practices. Women, especially the elderly, still sport the pointed bonnets, flowing dresses and long aprons one would only see in books and postcards. Tourists love getting to know Volendam history as it comes alive in a romantic and genial vision of beautiful small houses, old fishing boats and traditionally clad natives. 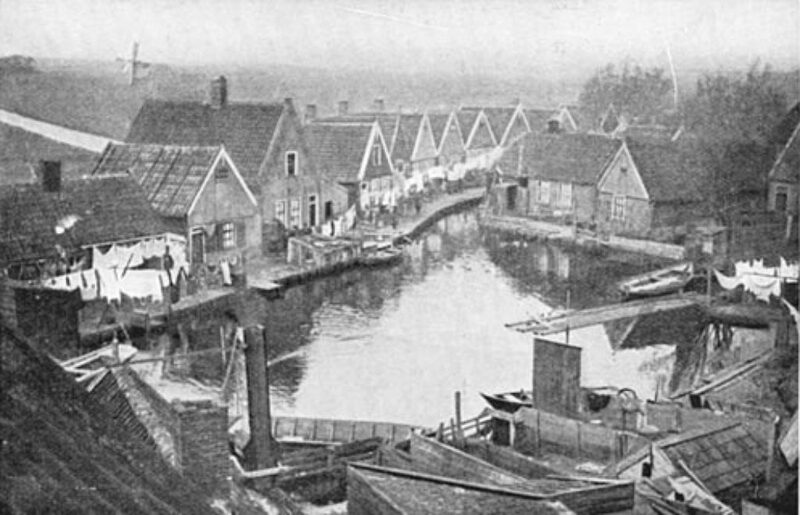 Volendam was originally the spot for the harbor of its neighboring town Edam. Edam was a town proximal to the river IJ, which was then considered a bay in Northern Holland. This river was popular as Amsterdam’s waterfront. Sometime in 1357, residents of Edam created a smaller canal which led to the Zuiderzee, a shallower portion of the North Sea in the northwestern part of the Netherlands. The canal they built had an independent harbor too, which worked well into the plan of having the original harbor abolished in order to set up land reclamation. After the canal was built, local fishermen and even farmers and their families began to move and settle there. These settlers were the first of the community which was named Vollendam. The name Vollendam literally means “filled dam”, and the events described above could explain why. Because of its proximity to the sea, it was a favorite retreat spot for artists during the early parts of the 20th century. Artists like Renoir and Picasso spent time there for recreation and inspiration. As with many other European towns, Volendam’s population is predominantly composed of believers of the Roman Catholic Church. The migrating and settling of several missionaries and other religious personalities in the town may also be reasons for the townfolk’s religious preference. Roman Catholicism is still very apparent in the town today. In fact, one of the spots to visit in Volendam is a chapel known as Our Lady of the Water of the visionary Mrs. Hille Kok, who was a popular Catholic prophetess. This chapel is located within the park in the village.